U.S. ambassador to the United Nations Nikki Haley today said Israel had reacted with restraint in its military response to protesters at the Gaza border and dismissed suggestions the violence was caused by the opening of the U.S. Embassy in Jerusalem, as the Washington Post’s Carol Morello reports. And, as Reuters reports, Turkey and Israel expelled each other’s senior diplomats today over the conflict in Gaza. For up-to-date coverage on the situation in Gaza, the AP has the unfolding story. Dive Deeper: “What’s At Stake With the U.S. Recognition of Jerusalem,” a CFR Backgrounder by Zachary Laub. North Korea canceled a high-level meeting Wednesday with South Korea and threatened also to call off a historic summit planned later this month with the United States due to ongoing military exercises between the South and the U.S., as CBS News reports. Dive Deeper: “Yongbyon Declassified: At Ground Zero,” by Joseph Bermudez and CSIS’s Beyond Parallel Project. “North Korea has Begun Dismantlement of the Punggye-ri Nuclear Test Site,” by Johns Hopkins 38 North project. “A step-by-step plan for denuclearizing North Korea,” by Brookings’ Michael O’Hanlon. U.S. forces are preparing for a battle with Islamic State over a valley that was once the Afghan hub of the group’s campaign to create a world-wide caliphate, as the Wall Street Journal’s Michael Phillips reports. Dive Deeper: “Afghanistan: Conflict Metrics 2000-2018” by CSIS’s Anthony Cordesman. (Photo Credit: Win McNamee/Getty Images.) 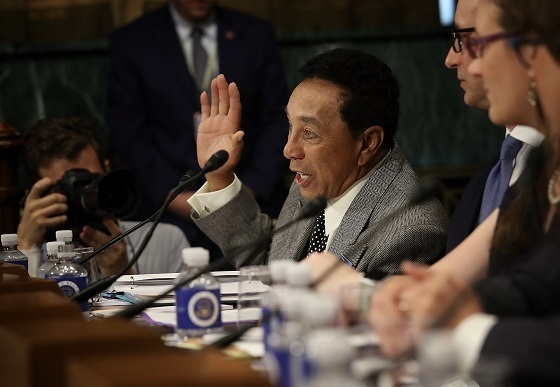 Legendary singer Smokey Robinson testifies during a hearing held by the Senate Judiciary Committee today on protecting and promoting music creation for the 21st century. “Hezbollah Said to Be Laundering Money in South American Tri-Border Region,” by the Wall Street Journal’s Ian Talley. Join CSIS at 10:30 a.m. for a discussion with H.E. Gudlaugur Thór Thórdarson, Minister for Foreign Affairs of Iceland, on Iceland's priorities as the next Chair of the Arctic Council, as well as China's growing economic influence in the North. At 12:45 p.m., join CSIS for a conversation with Admiral Prazuck, Chief of Staff of the French Navy, to discuss the challenges the French navy faces and the role that it plays in France’s defense and national security strategies. Join CSIS at 2:00 p.m. for an assessment of Syria as a scorecard for the Russian military and its reforms. And on May 17, join CSIS at 9:00 a.m. for a conversation with Patrick Pouyanné, Chairman and CEO of Total S.A.
Today, CSIS hosted "What Works: Countering Gray Zone Tactics." As state and non-state adversaries continue to utilize unconventional tools to influence and coerce Western democracies, the United States and its partners must develop effective, integrated approaches to identify and counter these gray zone activities. Watch the full discussion here. 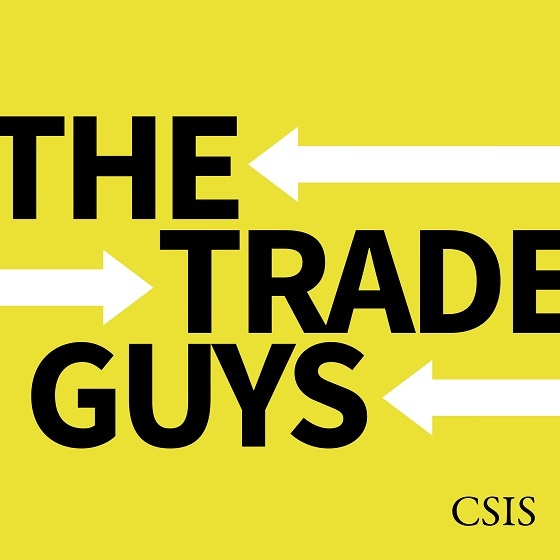 On the latest episode of The Trade Guys, Scott Miller and Bill Reinsch talk about what’s going on between the Trump administration and the Chinese telecom company ZTE. President Trump surprised many with a tweet saying he was working to get ZTE back into business, despite having penalized the company earlier this year. The Trade Guys also chat about whether and how the ZTE curveball might affect the next round of trade talks with the Chinese. Listen on Apple Podcast and SoundCloud. One of America’s greatest writer/journalists, Tom Wolfe, passed away yesterday at 88. The very term “New Journalism,” where reporters immersed themselves in their stories as they wrote and reported them, was established by an anthology he edited in 1973 called “The New Journalism,” which included works by Wolfe himself, Truman Capote, Hunter S. Thompson, Norman Mailer, Joan Didion, Terry Southern, Robert Christgau, Gay Talese and others. I grew up reading this type of journalism—mostly through the pages of Rolling Stone Magazine and Esquire. “The Electric Kool-Aid Acid Test,” is often held out to be the prime example of New Journalism. In this book, Wolfe famously immersed himself in the 1960s counterculture of Ken Kesey and the Grateful Dead. For those of us who weren’t alive or conscious during that period, it opened up a window into a controversial period in American history. So accordingly, this great smile from the Dead whose music always makes me smile. This time for Tom Wolfe.